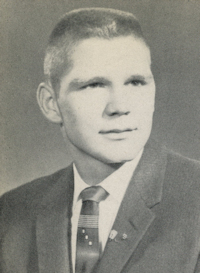 Obituary – Waltermire, Fred Flynn « Perry High School Alumni Association, Inc.
﻿Football 57-60; Wrestling 57-60; Honor Society 58-59; Sophomore Assembly 57-58; Junior Play 58-59; Senior Play 59-60; Senior Class-President 59-60; Lettermens’ Club 58-60; F.F.A. 57-60; Track 58-59; Home Room President 57-58. 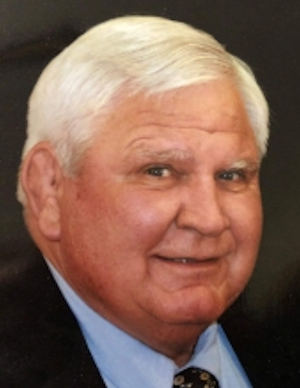 Fred F. Waltermire, 76, longtime resident of Perry passed away Monday, November 12, 2018 at Perry Memorial Hospital. Cremation services have been entrusted to Dighton-Marler Funeral Home of Perry. Visitation will be from 10 am. to 8 p.m. Friday, November 16, 2018 at Dighton-Marler Funeral Home. Family will greet guests from 6 to 8 p.m. A private family service will be held at a later date. Fred was born November 3, 1942 in Perry, Oklahoma to Elmer and Sallie (Kirk) Waltermire. He is a 1960 graduate of Perry High School, where he was a remarkable wrestling athlete winning the 1960 Geary Tournament of Champions. He continued his education at the University of Oklahoma where he was a member of the OU Wrestling Team while pursuing a degree in Education. Wrestling was in Fred’s blood. From 1970 to 1994 he filled the position as Head Wrestling Coach and/or Assistant Coach at Perry High School. During his career, Fred had the honor of coaching 14 state championship teams and runner-up teams, and 19 regional championship teams. He coached 20 all-state wrestlers, five as a coach, and 15 as an assistant coach. He was named All-State Coach in 1979, the first time for an assistant coach to be named an All-State Coach. His love and devotion has earned him numerous accomplishments and titles. Along with being an educator and wrestling coach, Fred also enjoyed his time on the farm raising cattle and working the land. September 3, 1961 Fred married Marilyn Durkee in Billings, Oklahoma. They established their home on the family farm south of Perry where they raised their 3 children. He and Marilyn were blessed with 57 wonderful years of marriage. Survivors include his wife, Marilyn; two sons, James B. Waltermire and wife Brenda of Stillwater, Oklahoma and Scotty Waltermire and wife Christina of Monterey, California; one daughter, Julie Holder and husband Rob of Tulsa, Oklahoma; seven grandchildren, Brigette Waltermire, Sean Waltermire, Riley Holder, Sydney Holder, Ryan Holder, Jacob Waltermire, and Luke Waltermire; brother, Dr. James Waltermire of Perry, OK; sister, Dr. Linda Powers of Perry, Oklahoma; several nieces, nephews, cousins, and a host of friends. He was preceded in death by his parents and grandson, Jason Scott Waltermire. As a memorial, donations may be made to the Billings Christian Church, c/o Dighton-Marler Funeral Home, P.O. Box 189, Perry, OK, 73077. Family requests no floral arrangements.